Using a paper towel, thoroughly wipe any food residue off of the plates. You want as little food as possible to be in the tub when washing. One paper towel is good for wiping several plates. Start with the cleanest dishes first, leaving the dirtiest dishes, usually the pots and pans and mixing bowls, for last. The first dishes to be washed will be placed in Tub A with the soapy water and dishcloth or sponge, just like you do in a sink. After washing, the dishes come out of Tub A and into Tub B where you agitate a little to rinse off the soap. Now the dishes get moved from Tub B, the rinsing tub, to Tub C, sterilization. Be careful when you put the dishes in so you don't splash the hot water on yourself! Let the dishes sit a few minutes in the boiling water (Tub C) while you go back to Tub A and wash some more dirty dishes....put these washed dishes in Tub B to rinse, and while they are in there, with the tongs take the clean, sterilized dishes out of Tub C.
Camping dish washing is very simple and easy to do. Your dishes are done in no time at all...and probably with a lot less water than you use at home! 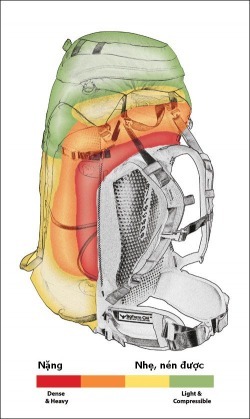 Be sure to compress the contents solidly using the external compression straps. 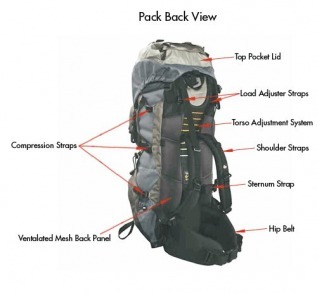 You want the pack to adopt a tall, thin profile. Remember to maintain side-to-side balance as well – a pack that leans over to one side places excessive pressure on your spine and irritates your shoulders. 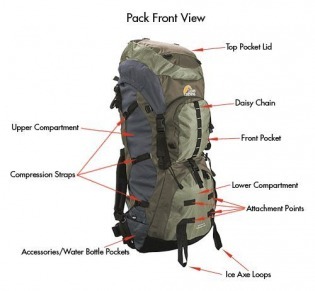 Make a point of getting as much gear inside the pack as possible. Odds and ends trapped on all over the outside of the pack wreak havoc with balance, especially if they are free to swing around. Finally, the top pocket has a tendency to become the repository for many, many small items that add up to significant weight and often make the pack distinctly top-heavy – be careful! Dùng dây thắt bên ngoài nén chặt đồ dùng để ba lô có bán diện dẹp và dài. Xếp cho ba lô cân bằng hai bên để giảm sức ép trên cột sống và khỏi đau vai. Xếp càng nhiều đồ dùng trong ba lô càng tốt; đồ dùng treo, móc, cột lủng lẳng bên ngoài ba-lô sẽ gây khó khăn khi xếp ba-lô vào xe và lúc di chuyển. Tránh xếp quá nhiều vật dụng nặng vào túi trên cùng. Ba lô dùng cho trại cuối tuần mùa xuân/hè/thu cần dung tích cỡ 40-55 litres. Get the lightest shoes you can. 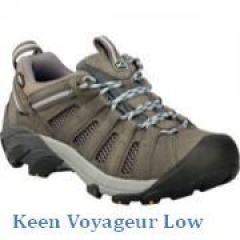 Look for lugs that release mud. Decide whether you need a waterproof boot. Breath-abilityis important on long trips or in hot or humid climates. Leather linings are the most durable. 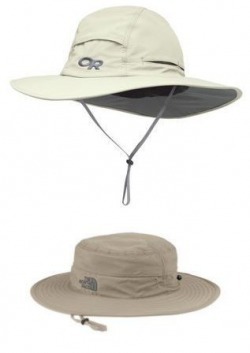 One-piece, full-grain leather uppers are durable and easy to waterproof. 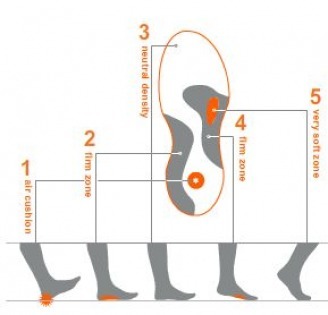 Choose boots with removable insoles and replace them with better ones. 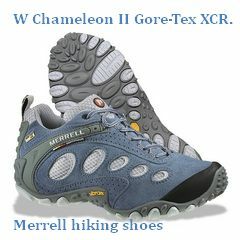 Giầy đi trại hiệu Merrell Chameleon dùng Gore-Tex làm lớp lót giúp chân không bị ẩm, thoải mái trên đường mòn. Những loại giầy nhẹ, dễ uốn có khuôn dạng Q bằng Ethylene vinyl acetate (EVA) thích hợp với bước chân phụ nữ (xương hông lớn hơn nam giới do đó bước đi khác, điểm ép dưới bàn chân sẽ khác. Nguồn Merrell). Advanced cushioning system designed for women and the way they move. Q-Form combines strategically placed cushioning with a specially aligned midsole to compensate for a woman’s pronounced Q Angle. Q Angle is the angle between hip and knee, which can cause a cycle of supination and pronation during walking and running. By providing support to compensate for this, Merrell Q-Form technology relieves discomfort while increasing the longevity of footwear. 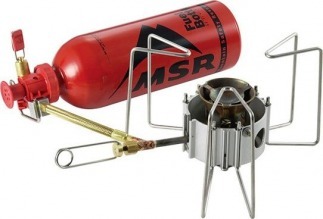 Hammerhead from mountain hardwear for extended camping is one of the best sold in the market. This has an interior sleeping space of 35.9 square feet. It also has a 7.5 square storage area for your gears. It also has two doors that can allow people to enter and exit without disturbing people inside. Its interior is spacious which is good for long camping days. This is very light in weight of about 6.8 lbs. Another brand called Sierra Designs is the best in manufacturing this kind of tent. It is their convertible 2 tent made for four season camping. This has a 29 square feet area and a space for storage. It also has a great height that makes it comfortable when you sit or read. You can be organized or play card games because of the space that it provides. This one door tent got a good airflow that allows air to escape. 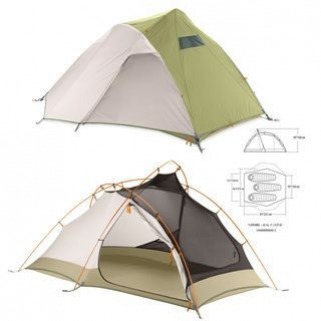 The backpackers will be happy with this tent because it is light in weight. 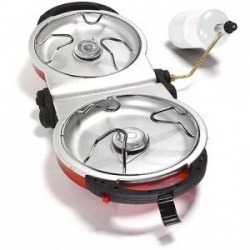 You can go off without its area as it can be removed from the tent. There is no need to rely on poles, tarps and foot print.